Coventry, UK, 12 September 2018: Jaguar Racing has unveiled the full race calendar for the inaugural Jaguar I-PACE eTROPHY Championship. Up to twenty identical Jaguar I-PACE eTROPHY racecars will line up on the grid on Saturday 15 December in Ad Diriyah, Saudi Arabia, for the first round of the new global electric production car racing series. The Jaguar I-PACE eTROPHY race will take place before the main ABB FIA Formula E race on the same city circuits, throughout the 2018-19 season and beyond. The series, a world first, offers teams the chance to showcase driving talent and electric performance in some of the world's most exciting cities. 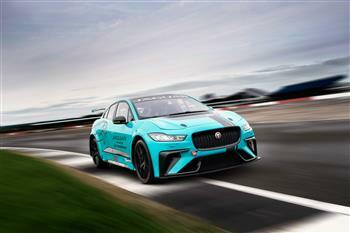 Marion Barnaby, Championship Manager, Jaguar I-PACE eTROPHY, said: "Seeing Jaguar I-PACE eTROPHY racecars line up on the grid in December will be a proud and historic moment for Jaguar, and spectators can expect plenty of action from the races. As we travel to some of the world's most exciting cities we'll be bringing a new kind of electric street racing to the public and inspiring the next generation of electric vehicle owners." 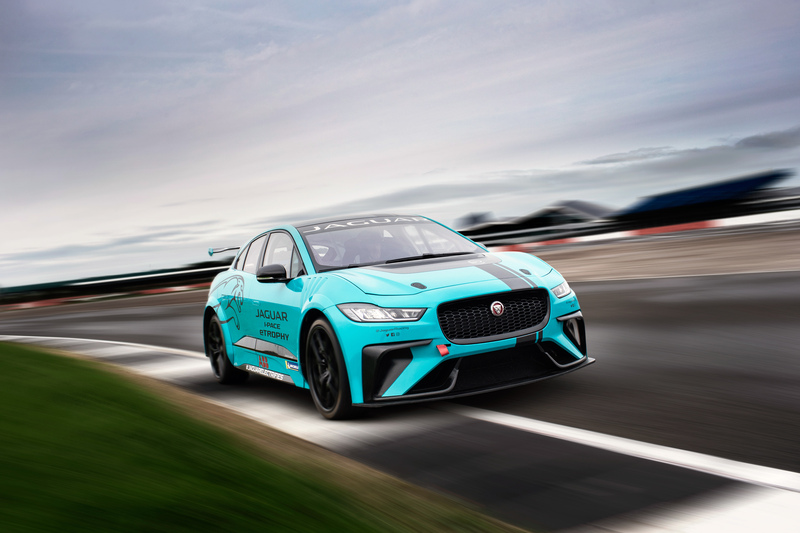 Later this month, teams will travel to the iconic Silverstone circuit to take delivery of their Jaguar I-PACE eTROPHY racecars and take part in the first of the official pre-season tests. The Jaguar I-PACE eTROPHY race will be 25 minutes plus one lap. This will follow practice and qualifying sessions in the build up to each race. Jaguar plan for each race to feature a VIP entrant, with famous faces from the world of motorsport and beyond set to take part. Jaguar recently announced that the prize fund for the series is in excess of £500,000 per season. Sabelt have also been confirmed as technical partner providing seats, seatbelts, steering wheels and head protection nets. Massimiliano Marsiaj, Sabelt Deputy Chairman & Business Development said: "We are really proud to work with Jaguar. I think we have laid the foundation for a new and lasting collaboration. Thanks to the work of our two technical departments, we have already developed together a new racing seat. Electric cars are the future and we always want to progress with the times." After becoming the first premium manufacturer to enter the ABB FIA Formula E Championship in 2016, Jaguar has now created the world's first production battery electric vehicle race series – the Jaguar I-PACE eTROPHY. The history-making championship is the official support race to the ABB FIA Formula E Championship, with up to 20 cars taking to the grid from season five onwards. The series supports the launch of the Jaguar I-PACE, Jaguar's first battery electric vehicle, and reinforces Jaguar Land Rover's future electrification strategy, commitment to electric street racing and 'Race to Innovate' mission. Championship partners include official tyre supplier Michelin, technical partner Sabelt, and official clothing supplier One All Sports. Sabelt, founded in 1972, is a global leader in the development and manufacturing of original equipment car seats, seatbelts, motorsport products for racing activities and special applications including cargo retaining systems. The quality of Sabelt products is the result of intensive R&D, which allows to achieve the highest levels of performance and safety. Sabelt is providing the top historical car manufacturers and drivers from decades and is the only company of its kind to have an internal dynamic test lab to perform ECE and FIA tests, verifying strength and effectiveness of its products. Jaguar I-PACE eTROPHY racecar will line up on the grid on Saturday 15 December in Ad Diriyah, Saudi Arabia, for the first round of the new global electric production car racing series.